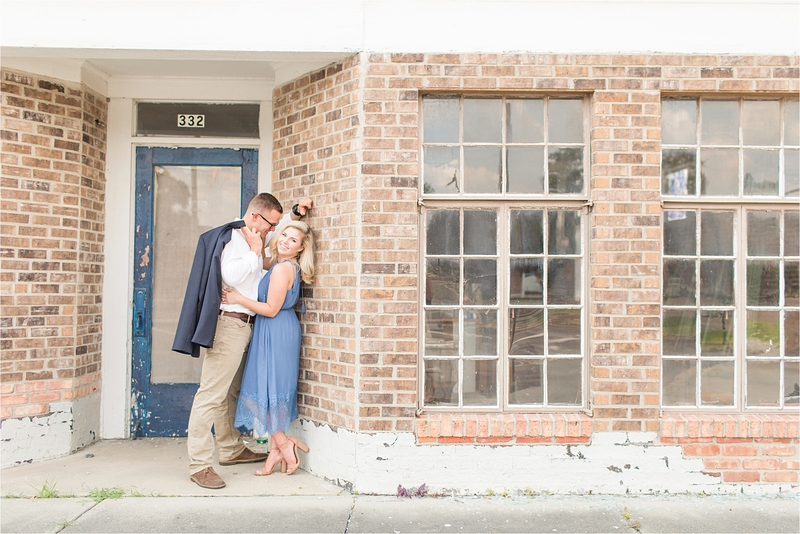 Laurel Mississippi is as quaint and adorable as a city in the South can be. 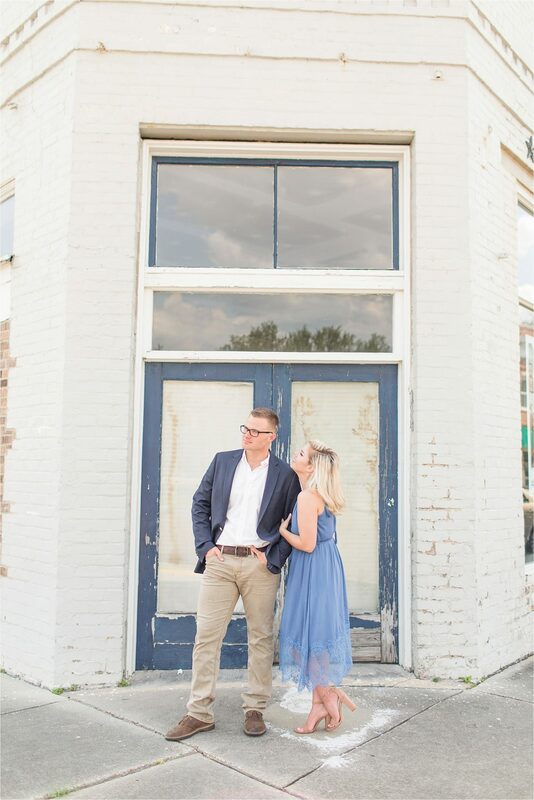 With it’s charming streets, unique stores, and friendly atmosphere you feel more like you’re in a small town, than a big city. 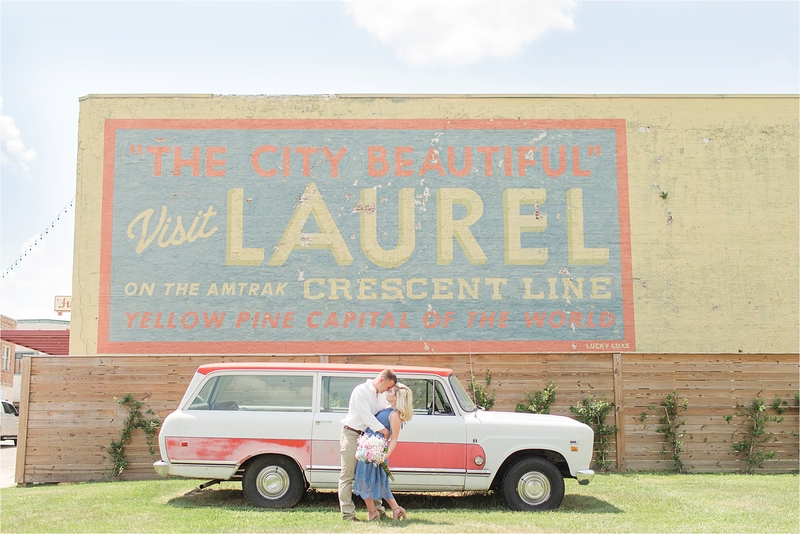 Laurel’s main street is one of my favorite aspects of this southern city. 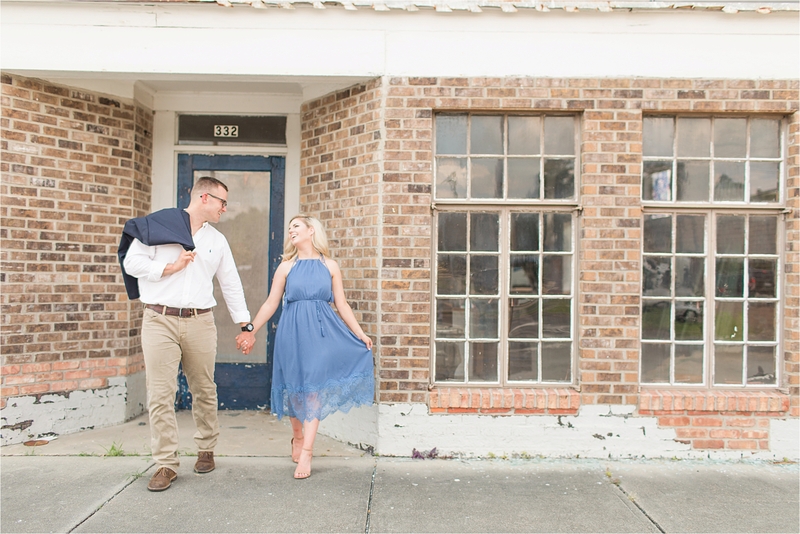 Dotted with historic charm and being rebuilt in a fun and inspiring way, the architecture, sites and stores really bring the street alive. 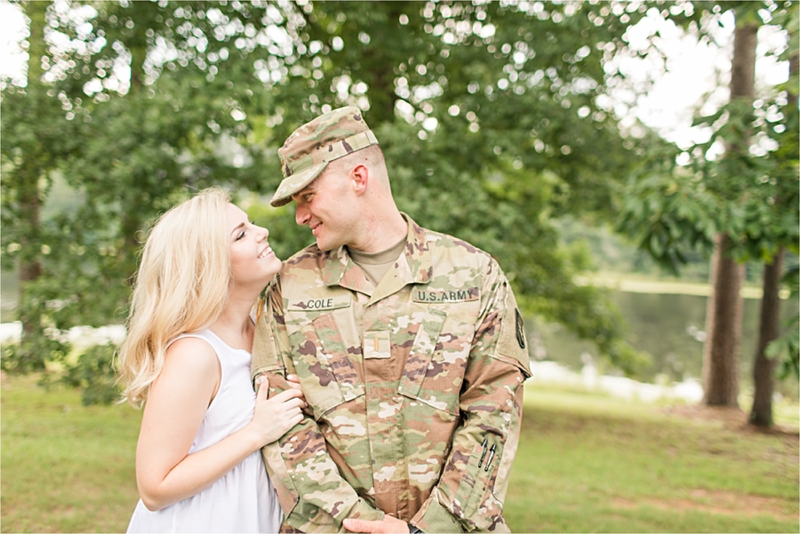 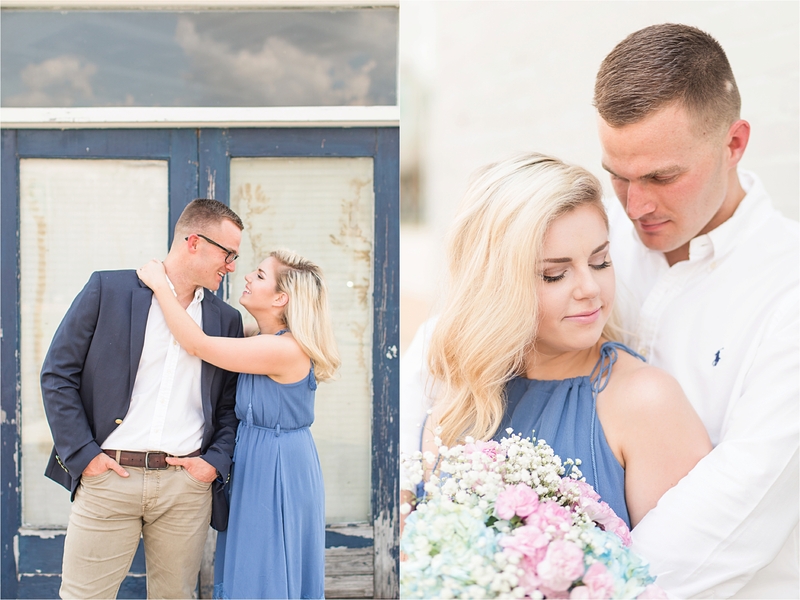 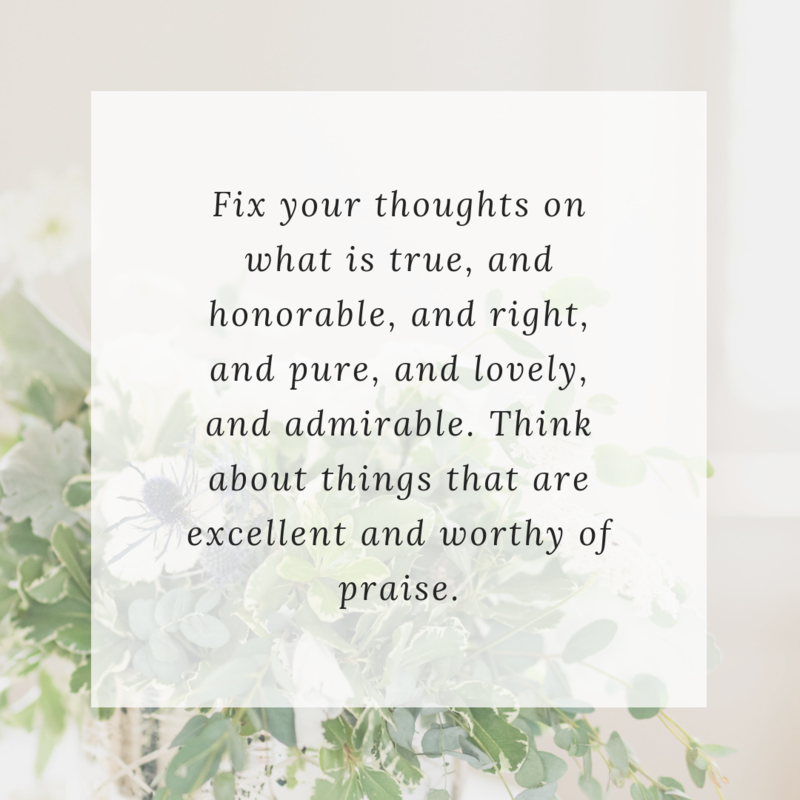 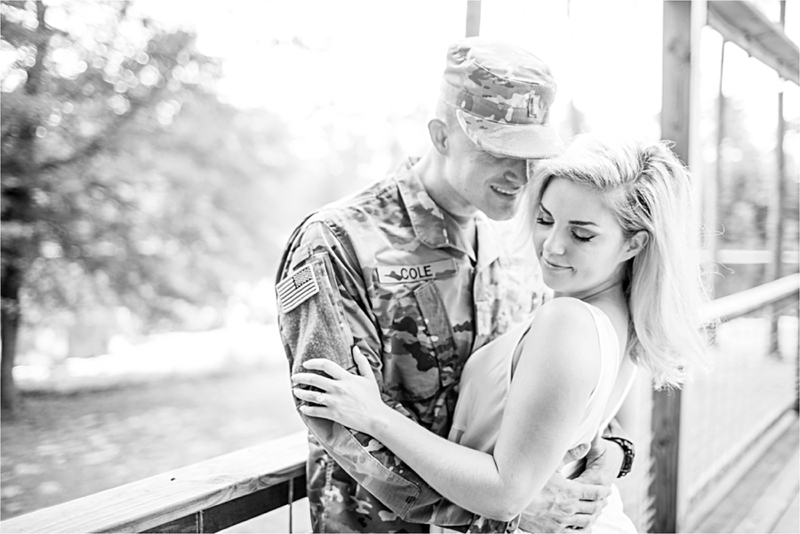 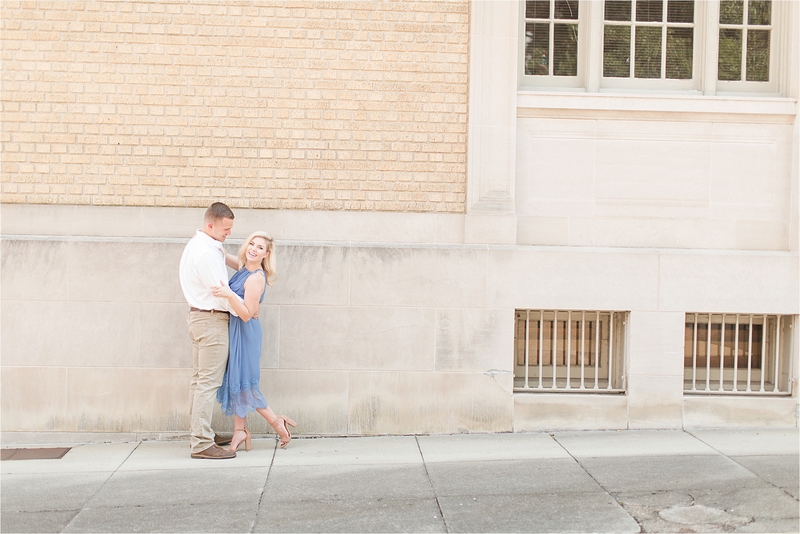 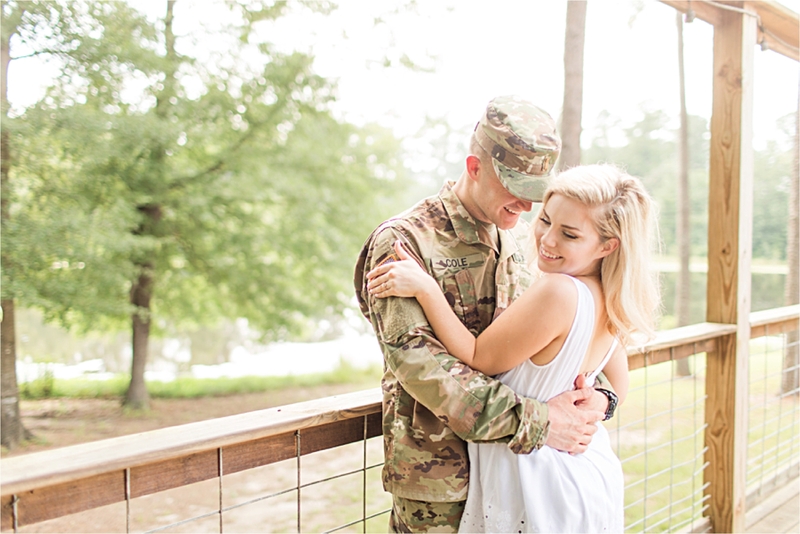 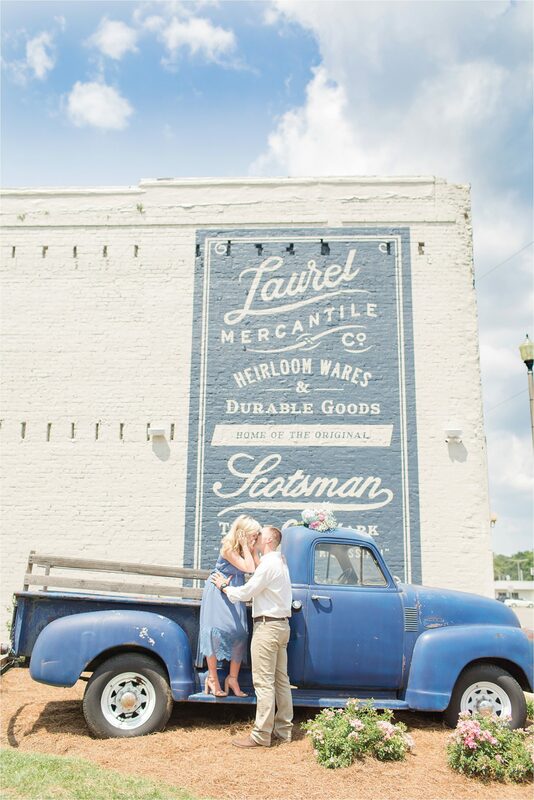 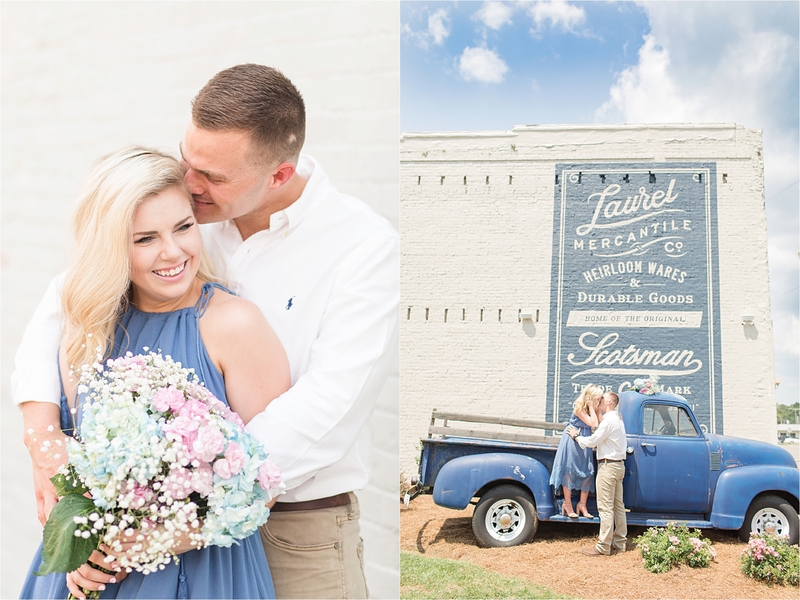 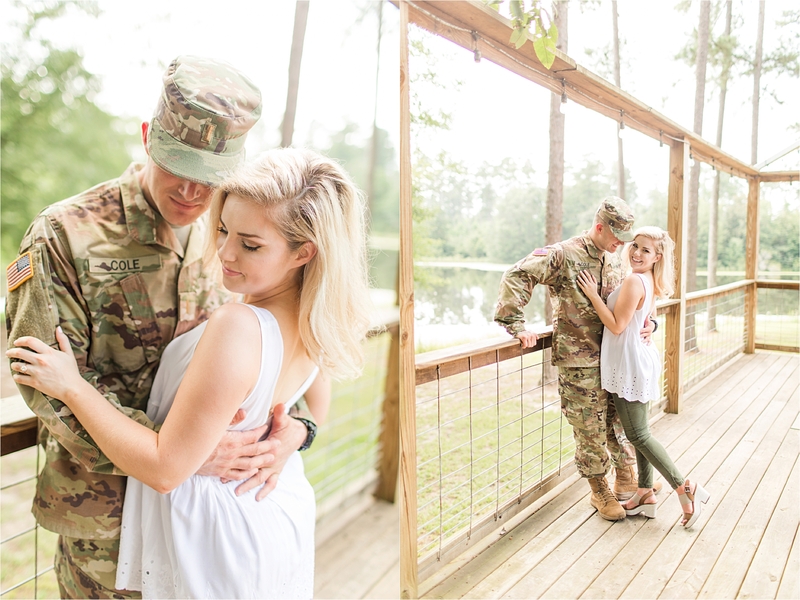 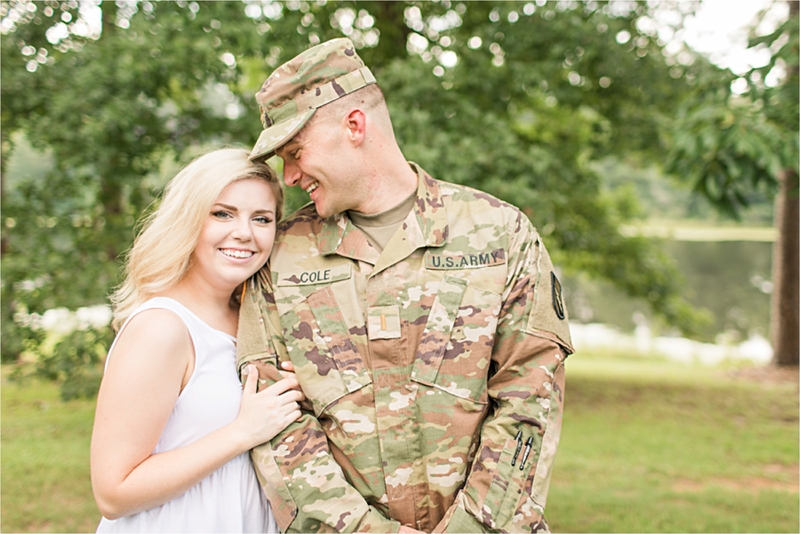 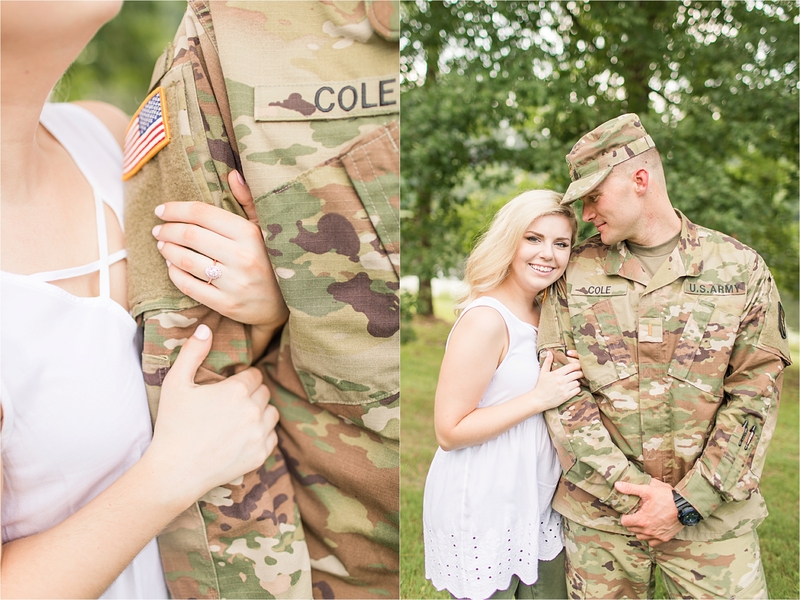 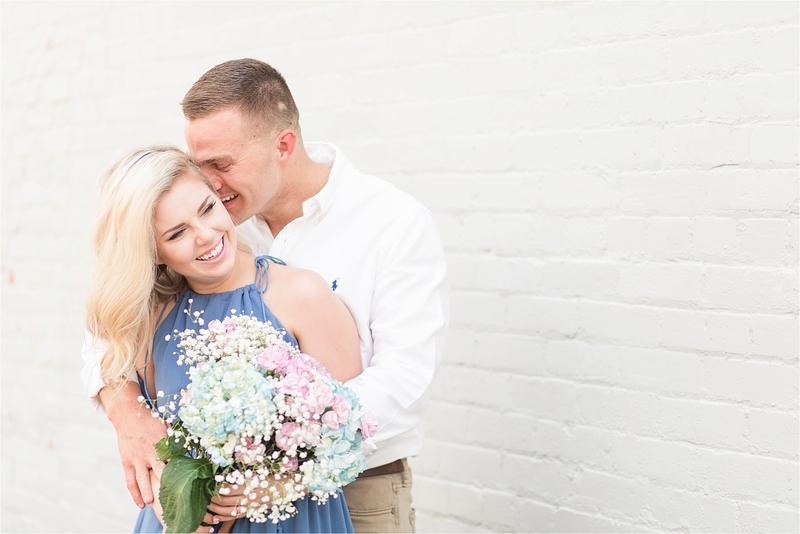 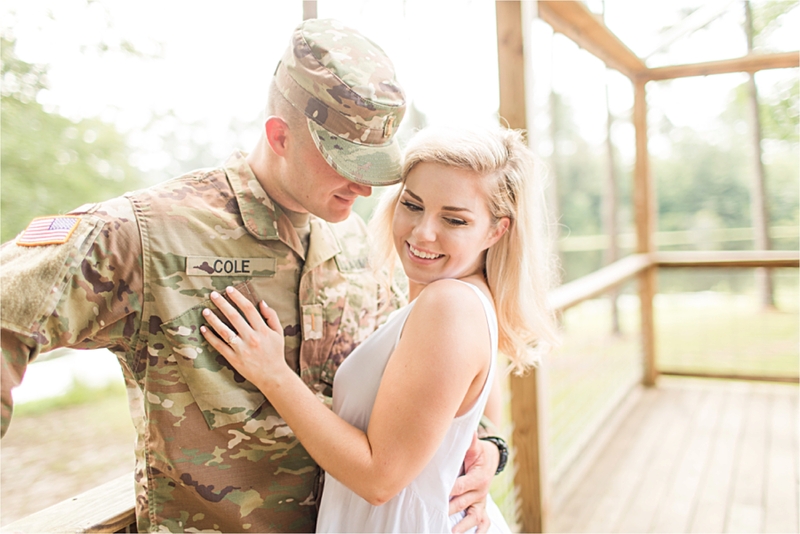 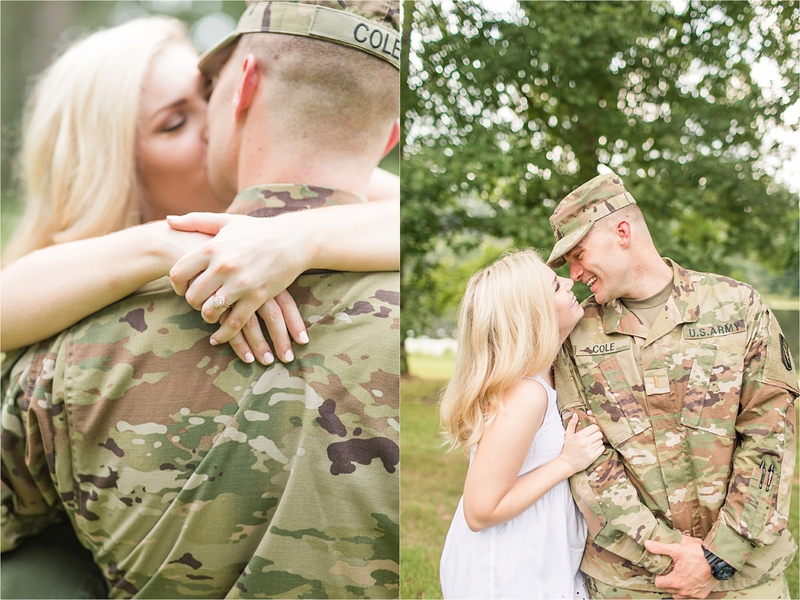 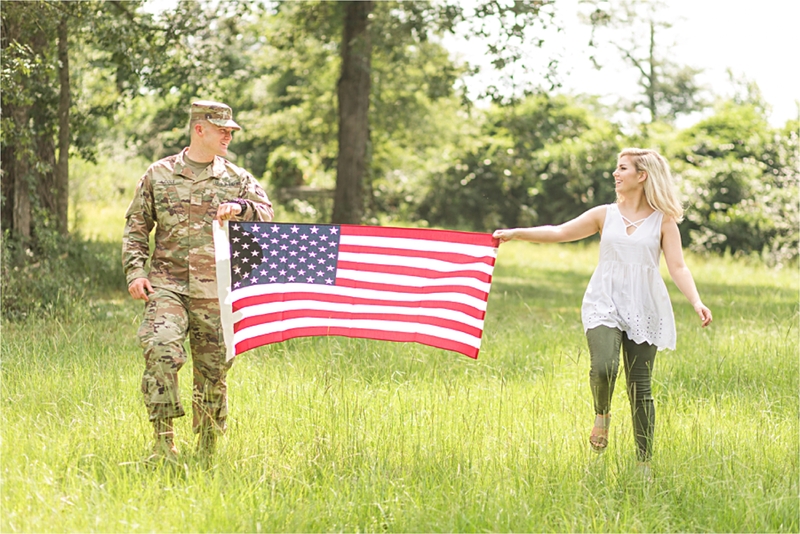 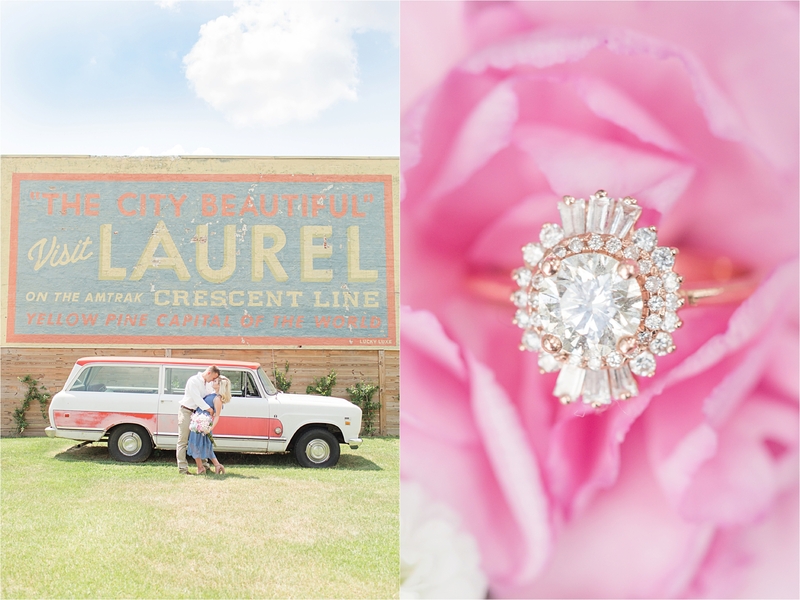 The painted murals are my personal favorite– you’ll even see a few in today’s engagement session ! 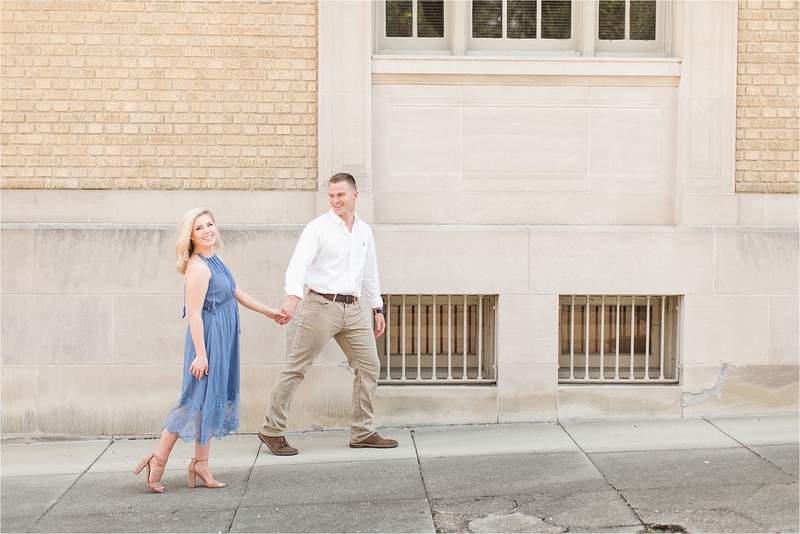 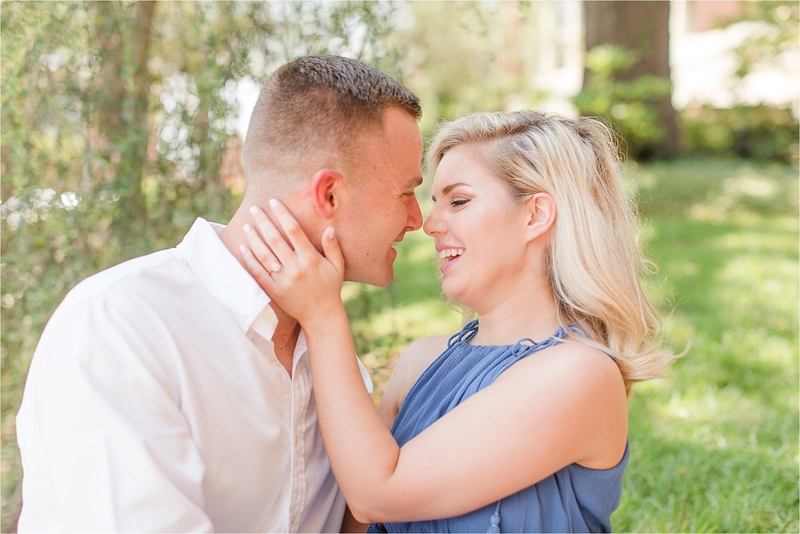 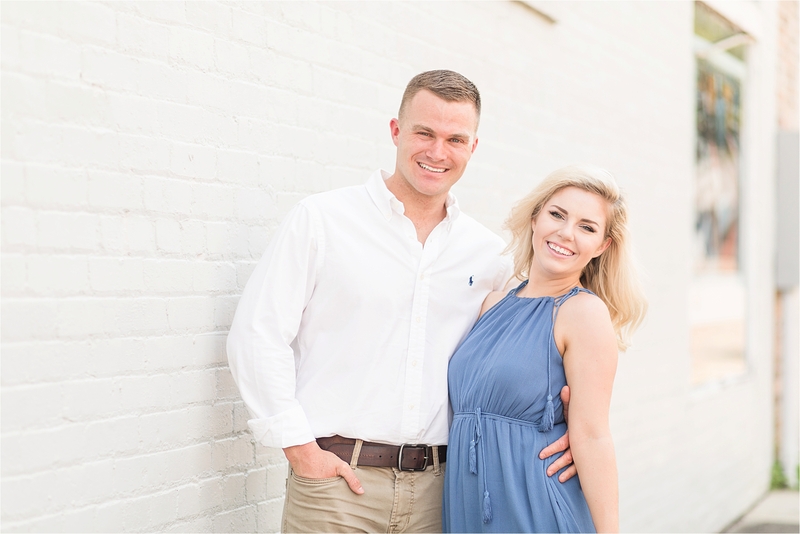 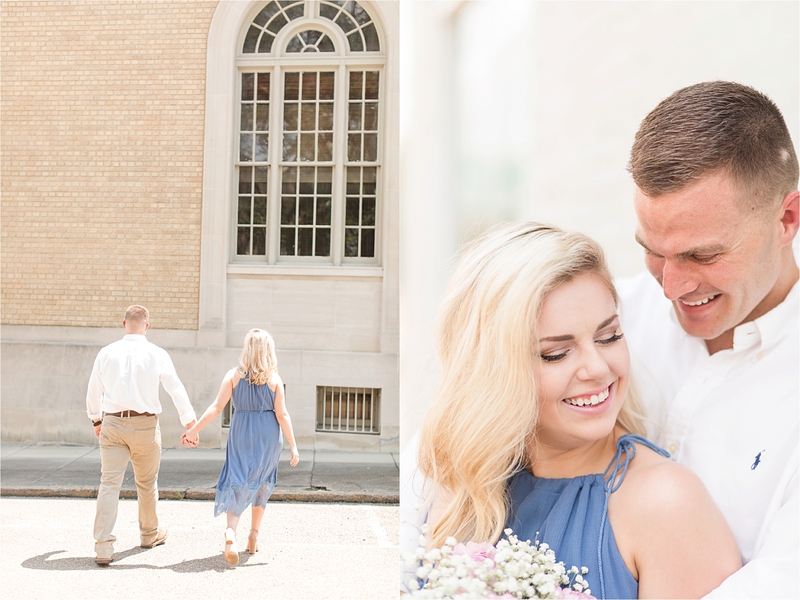 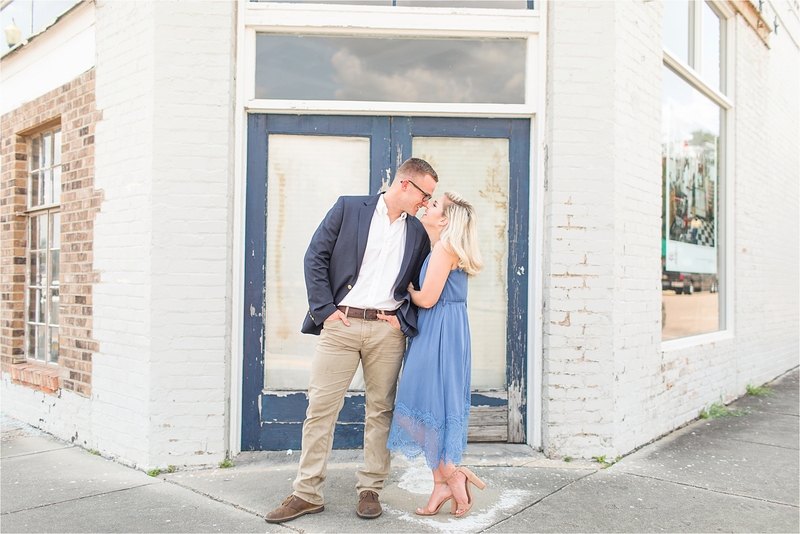 With Brett being from Hattiesburg, Mississippi and Sarah living in Mobile, Alabama the likelihood of these two meeting and getting to know each other would have been slim. 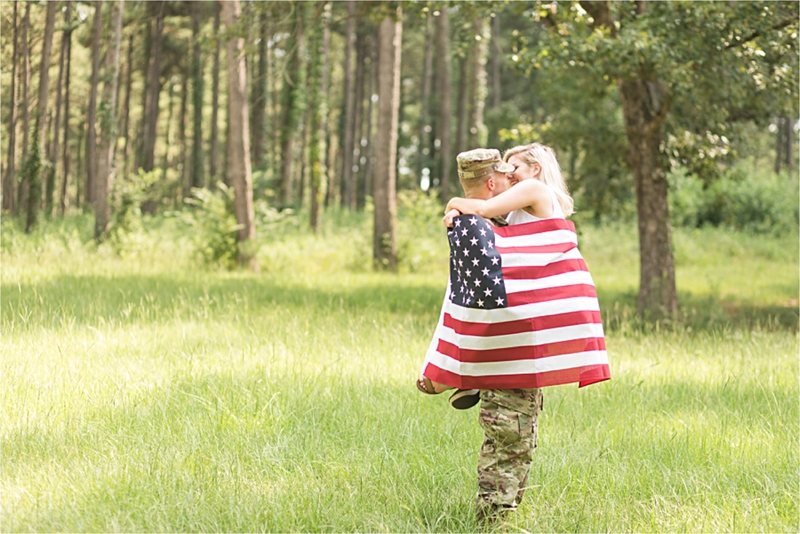 But, social media has a way of making the world a smaller place, doesn’t it? 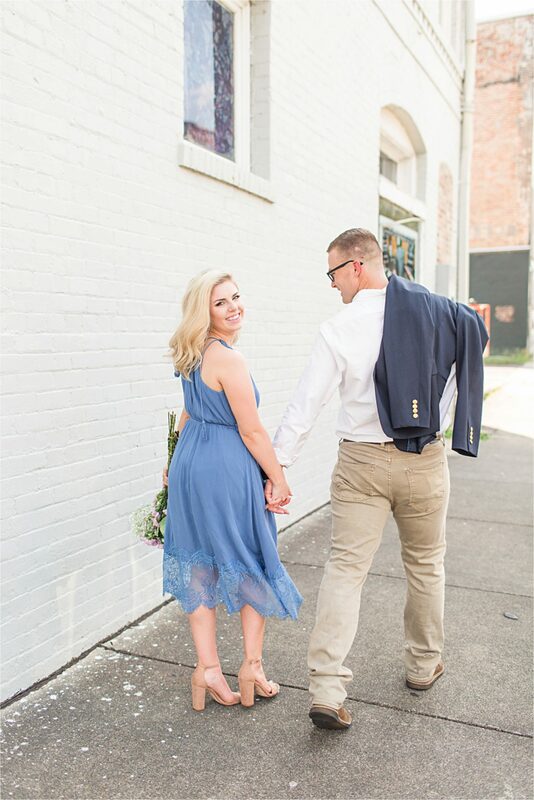 After connecting on Instagram, (and after Sarah confirmed with a mutual friend that Brett was a good guy) these two met in person and hit it off. 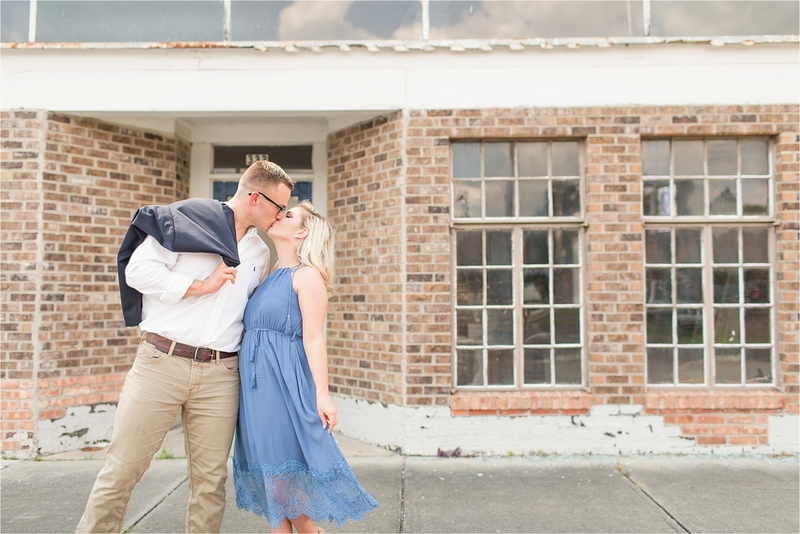 What transpired was an instant connection, and undeniable chemistry. 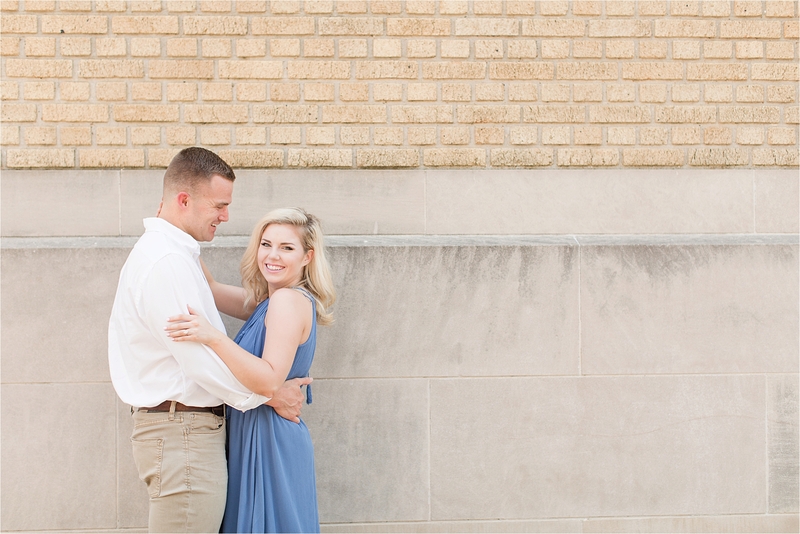 They started dating, and Sarah was almost instantly smitten. 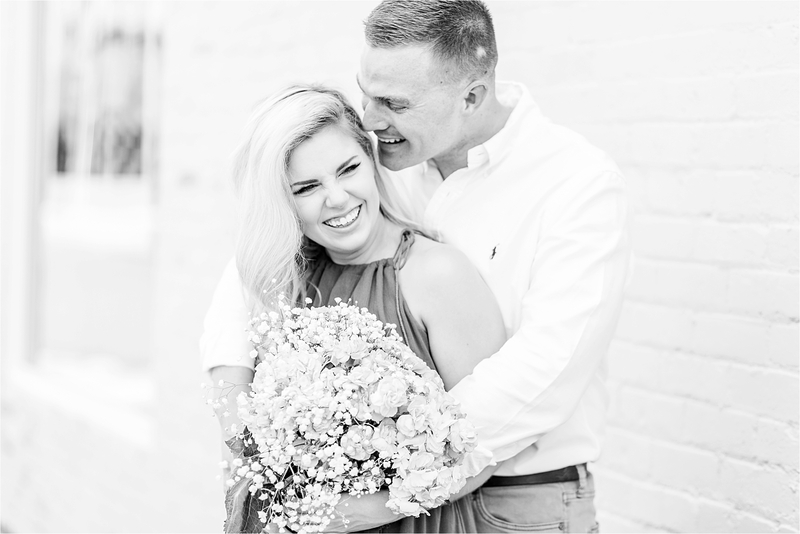 Brett’s servant-heartedness and lighthearted zeal for life swept her off of her feet! 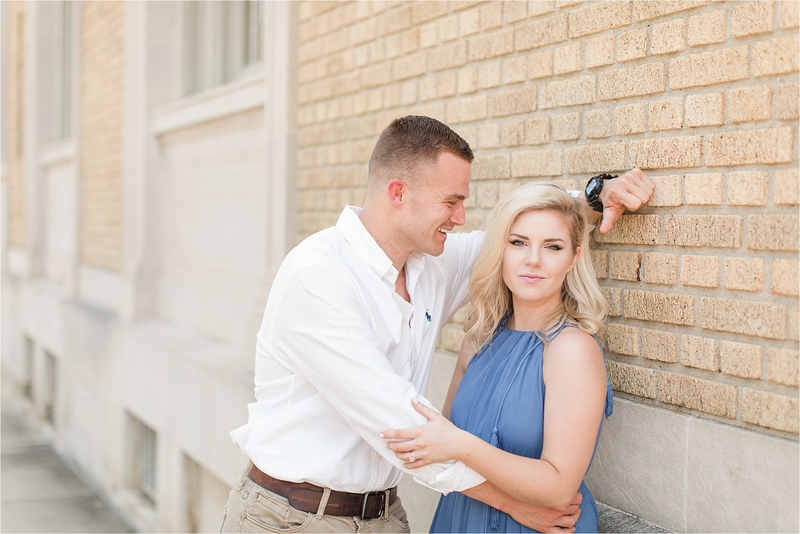 But of course, Brett fell for Sarah too. 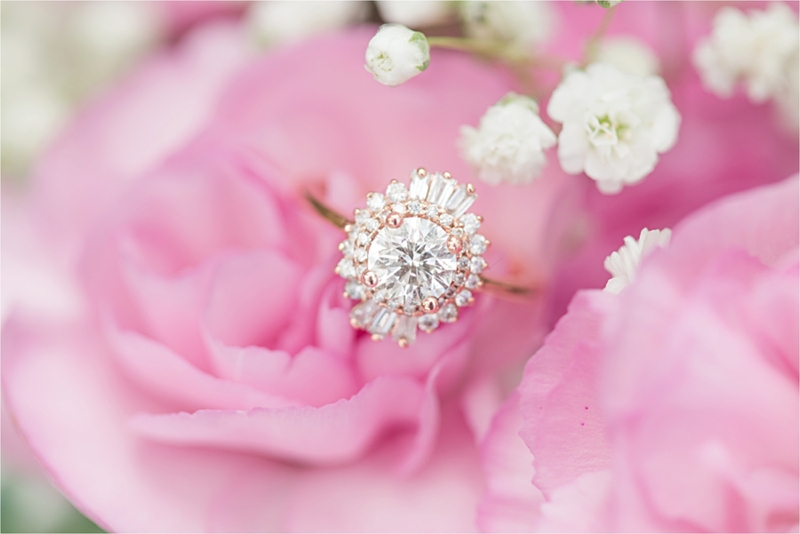 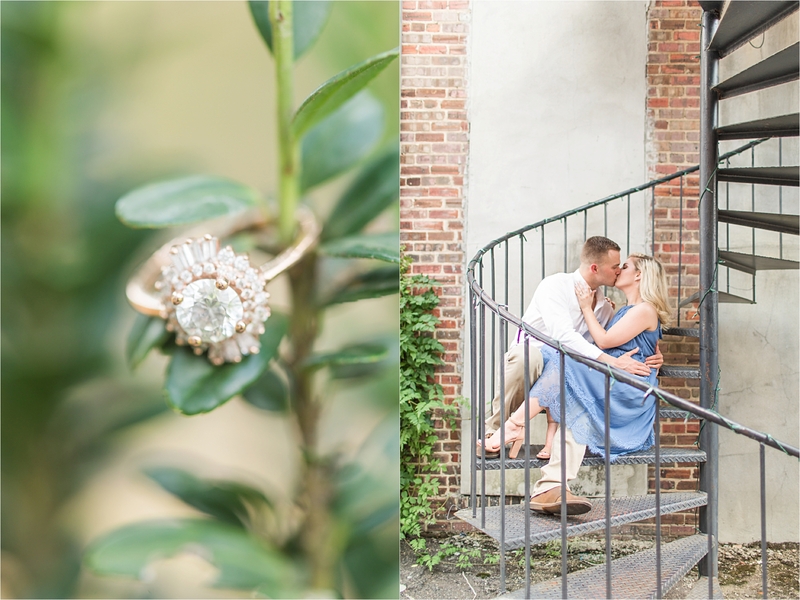 Her sweet sincerity, and classic elegance were two of the many things that affirmed the fact that Brett wanted their love to last. 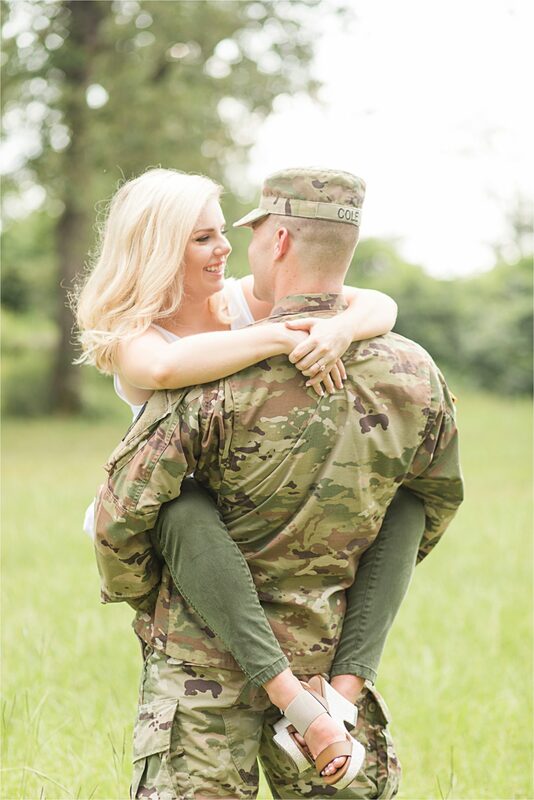 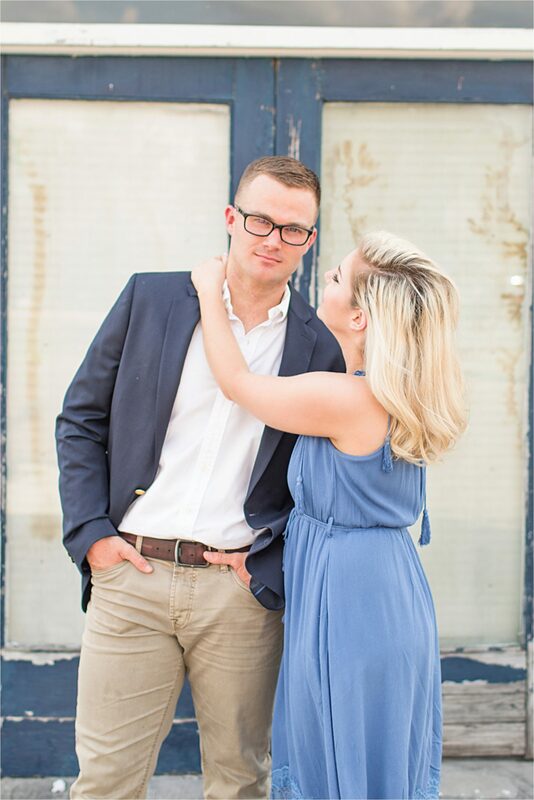 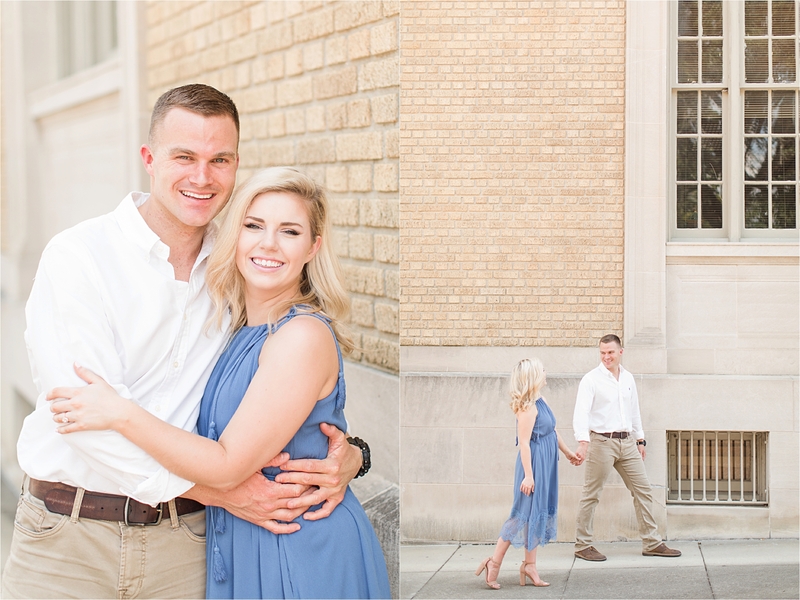 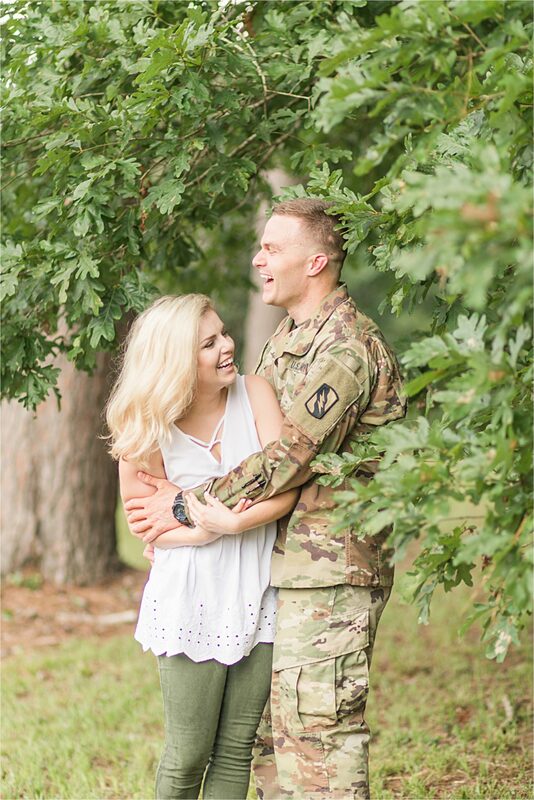 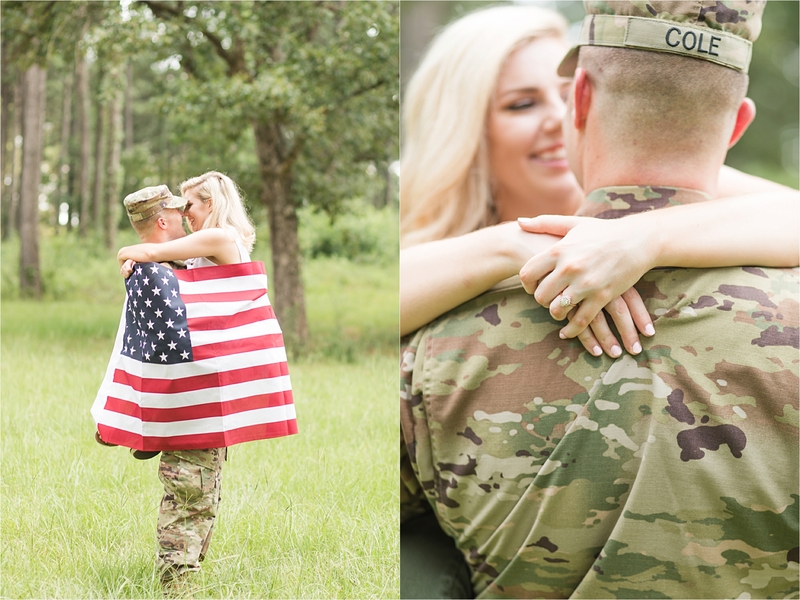 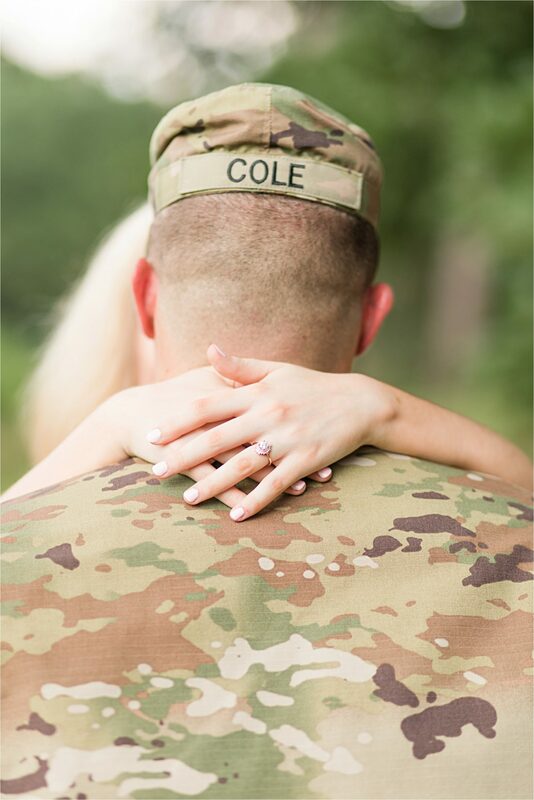 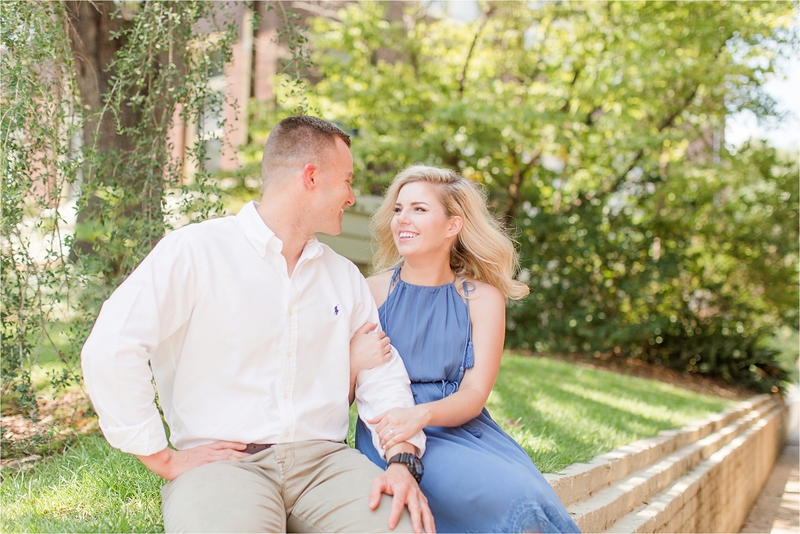 Months later, Brett proposed to Sarah and now these two are getting married this Fall! 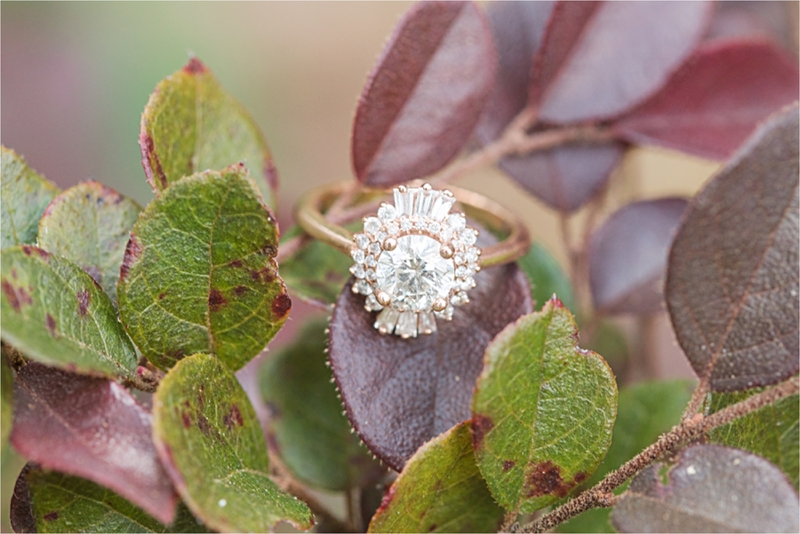 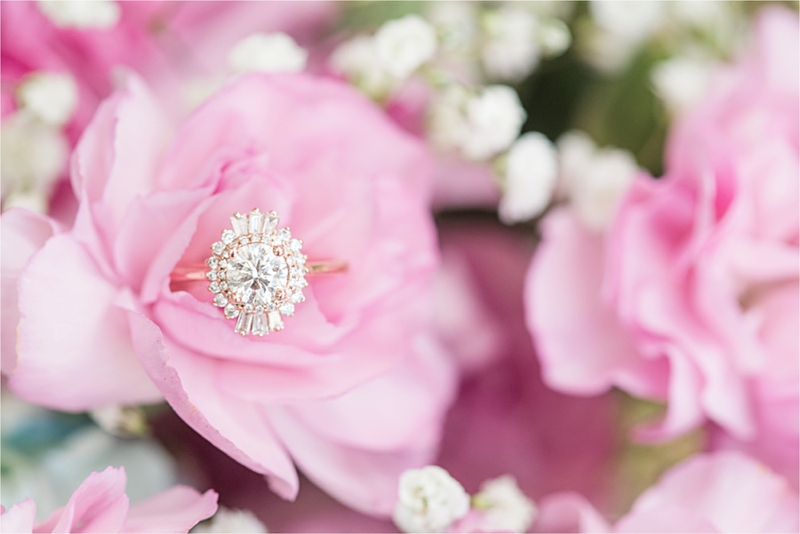 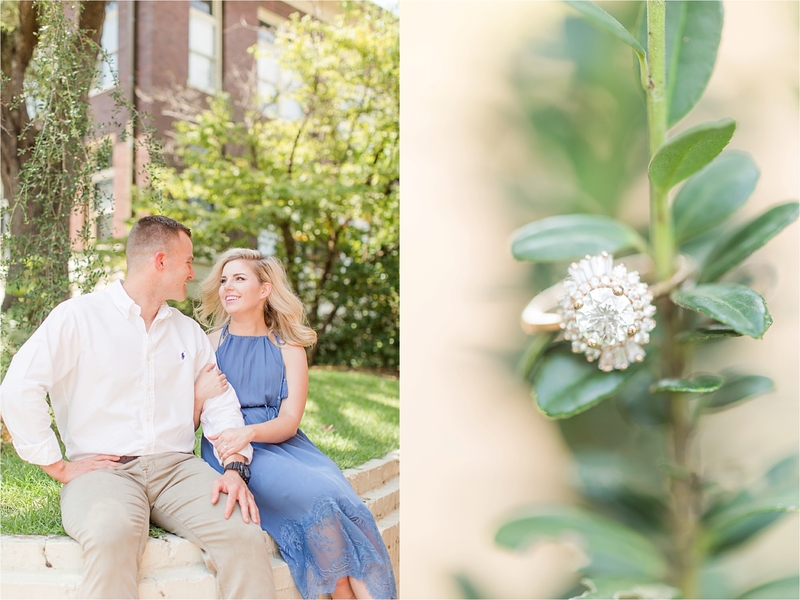 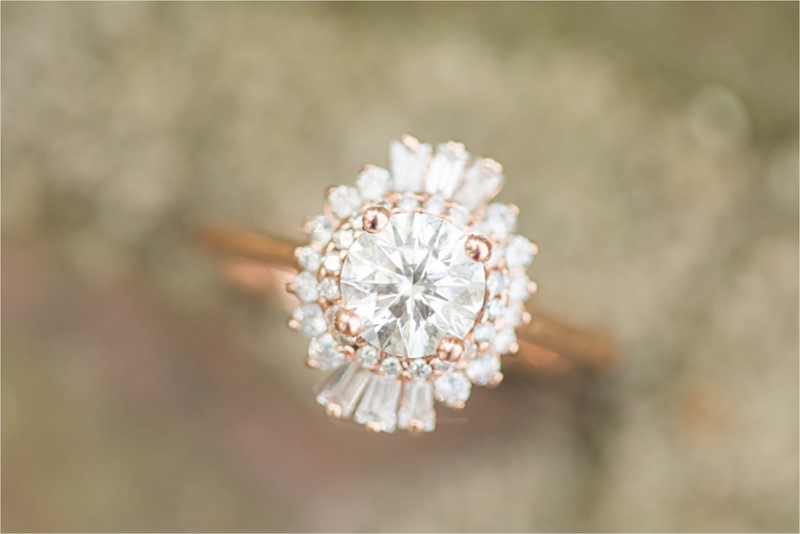 If you’re a total sap like me and love reading proposal stories, I’ll let you read Sarah’s words over on How He Asked! 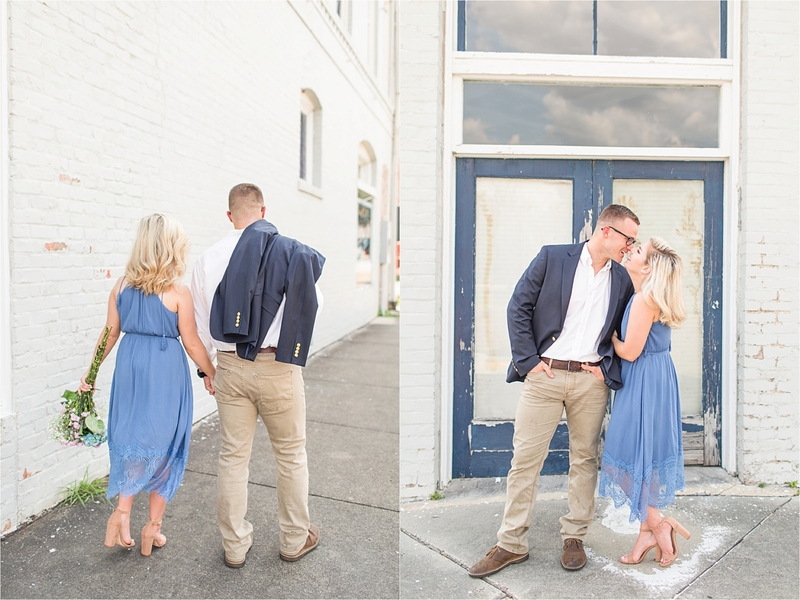 These two are just DARLING together. 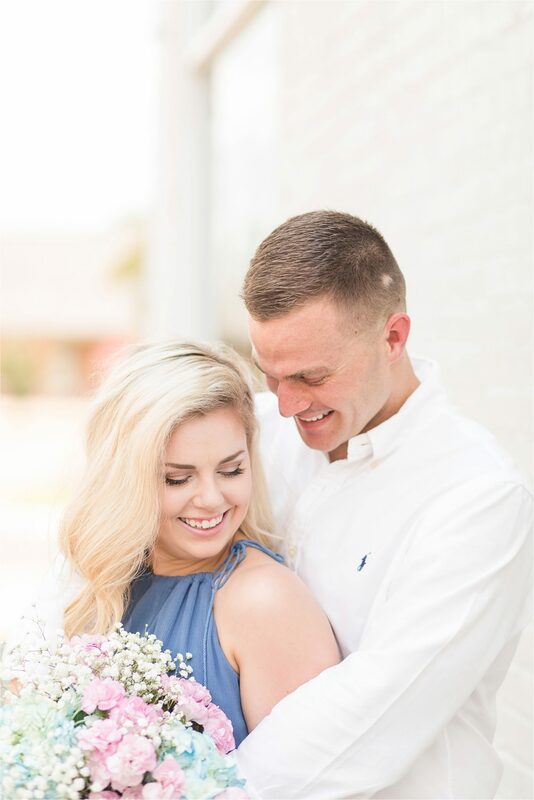 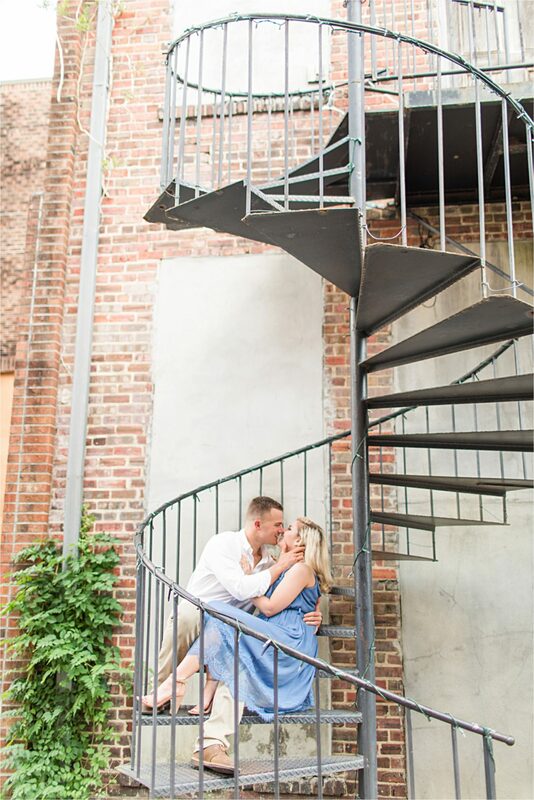 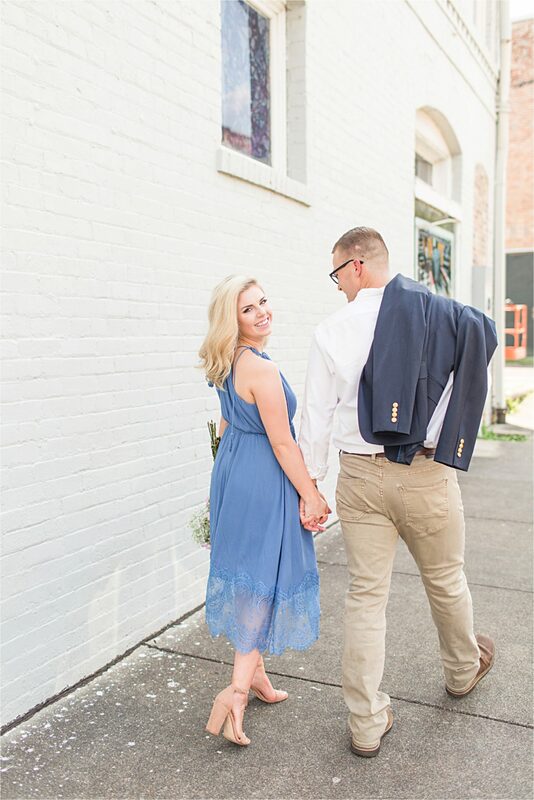 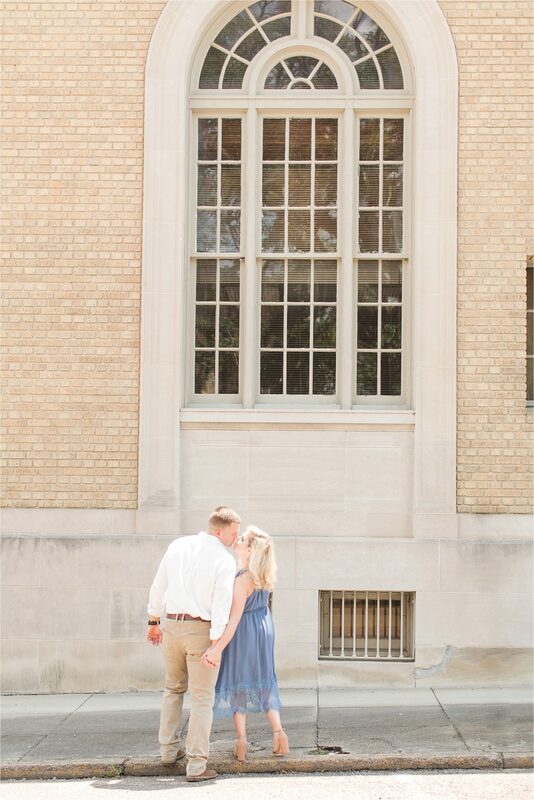 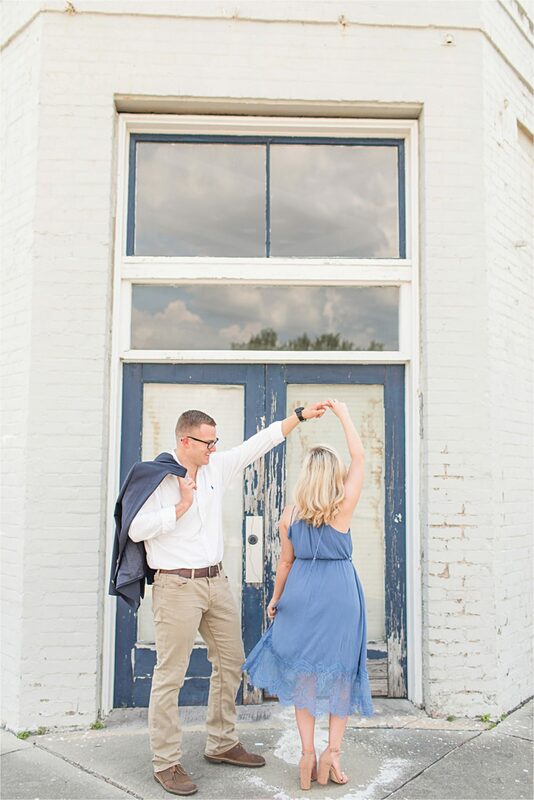 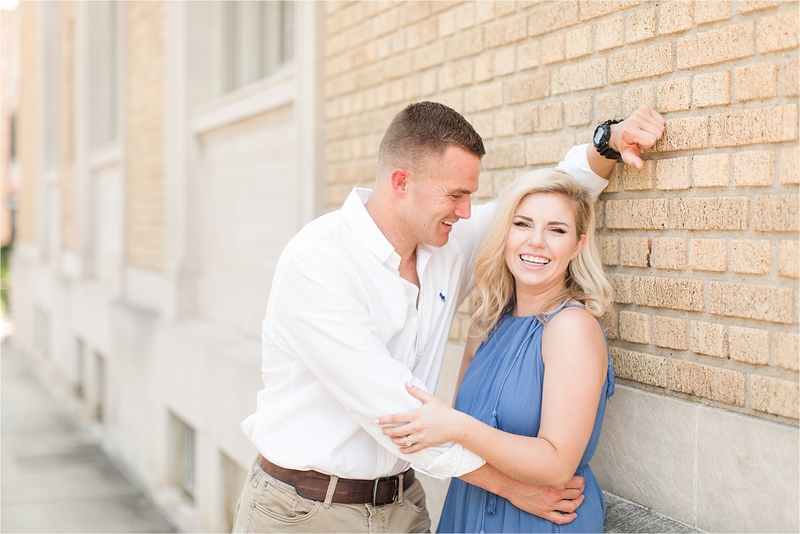 Our session was full of laughter and sweet moments. 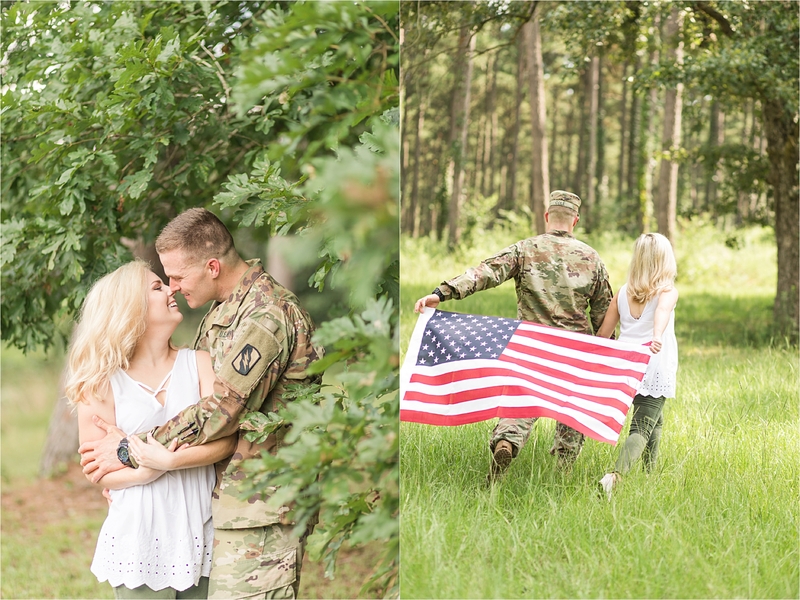 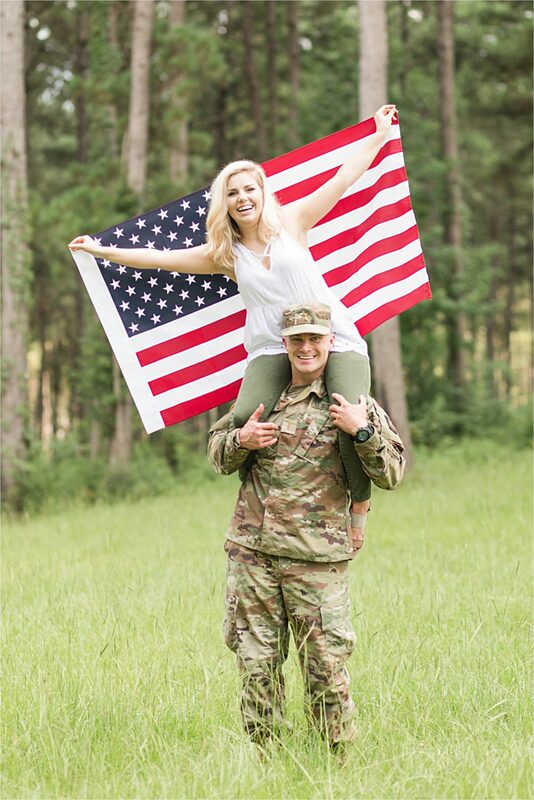 Brett is in the military, and I LOVE that we got to showcase that aspect of his life. 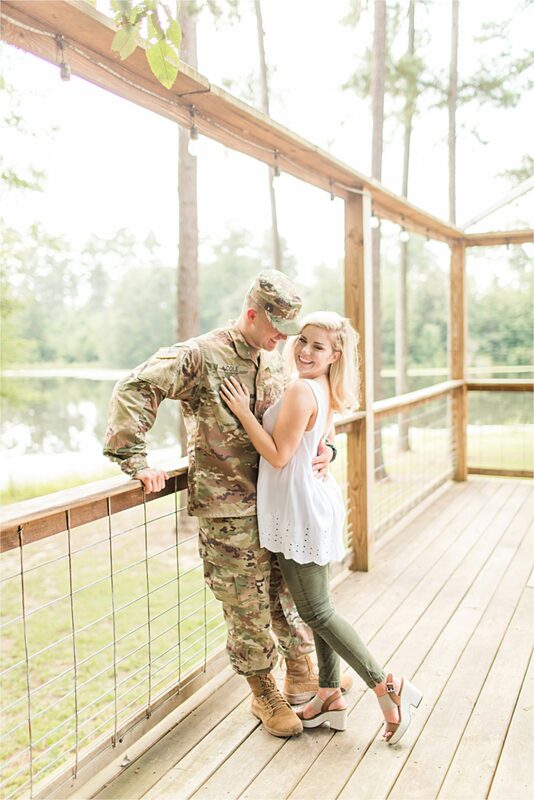 I mean what is cuter than a man in uniform?! 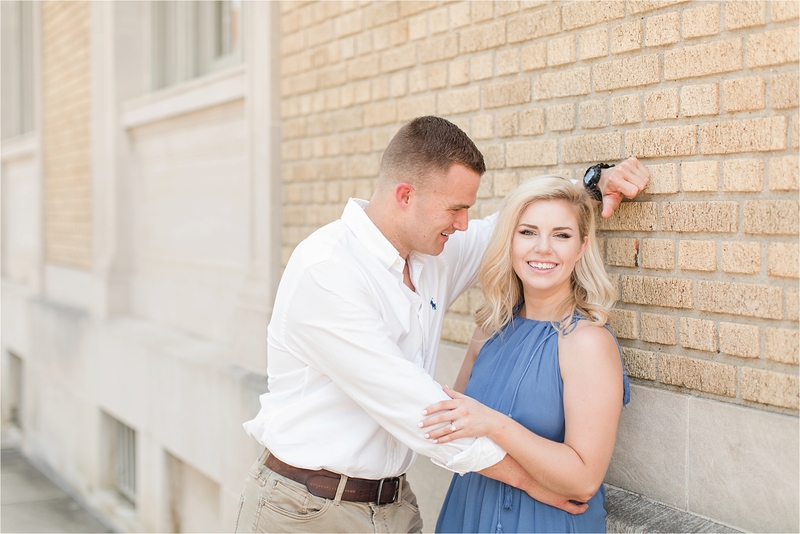 Sarah says the answer to that question is nothing 😉 I can not WAIT for these two to tie the knot in September!